Today's #SFDesignADay theme is block prints! Rochelle New will show you all you need to know to delve into this rewarding design process, which might just get you out of your comfort zone. Each day until March 15, we'll feature a new Design-A-Day technique, presented to you by members of our talented community of designers! Missed out on the first few days or want to learn more? Check out our timeline and FAQs here, and be sure to sign up to have these prompts delivered directly to your email inbox. 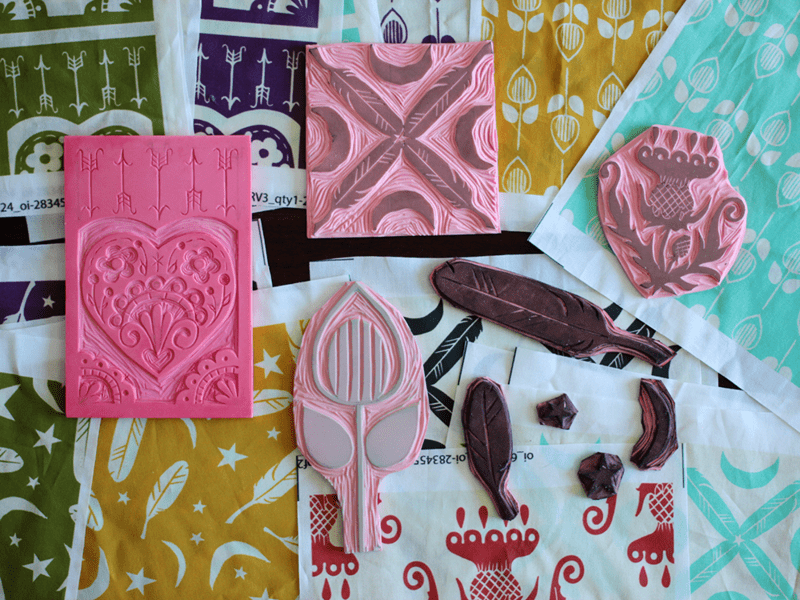 Rochelle: If you love bold shapes, simple color schemes, and a handcrafted look, then block printing is definitely for you. It's also a great choice for budding designers who don't have editing programs like Photoshop or Illustrator. 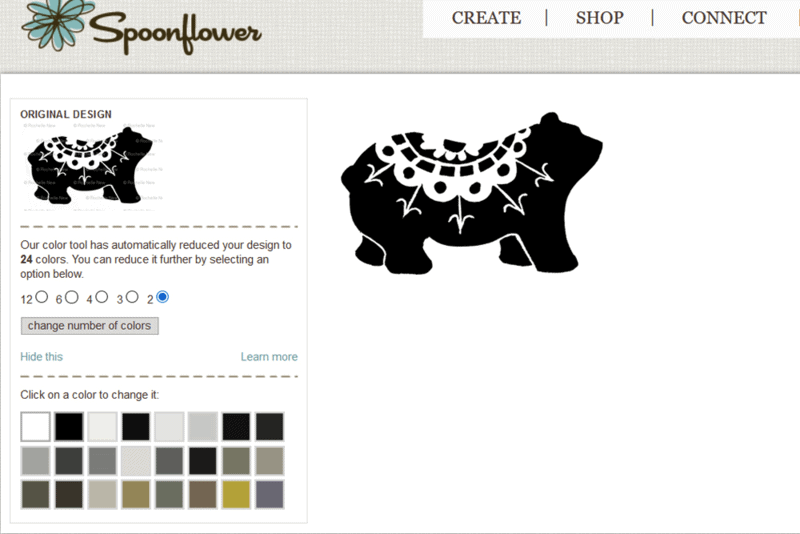 You can carve your design, print it, scan it into the computer, and then decide on your design layout and color scheme with Spoonflower's own editing tools. The option to step away from my laptop and add a more handcrafted element to my work is really what drew me to block printing in the first place. If you're brand new to this, it's best to start simple and avoid too many small details (think geometrics and silhouettes). Start by sketching out your ideas with pencil and paper. When you have your basic sketch finished, place it face down on your block. Use the rounded end of your carving handle and gently rub the entire surface of your design to transfer the image. 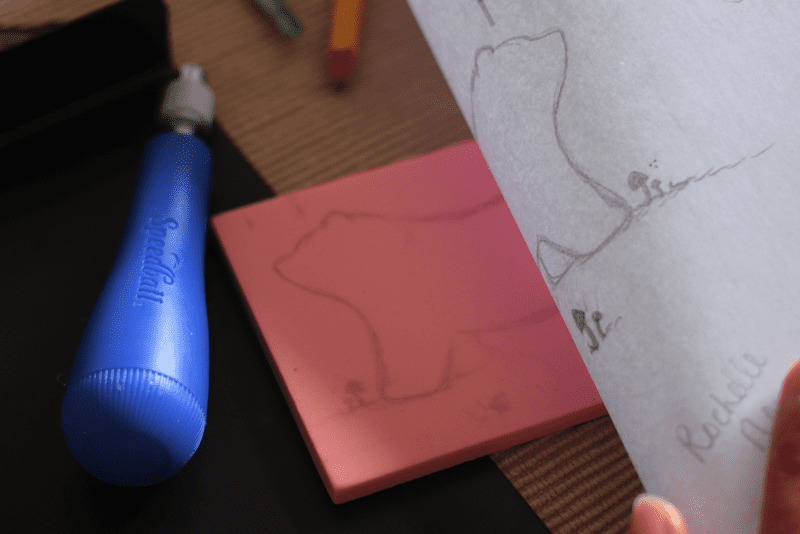 You can also draw directly onto your block for a more free-handed approach. Now you're ready to carve! My favorite carving medium is called Speedy Carve by Speedball. 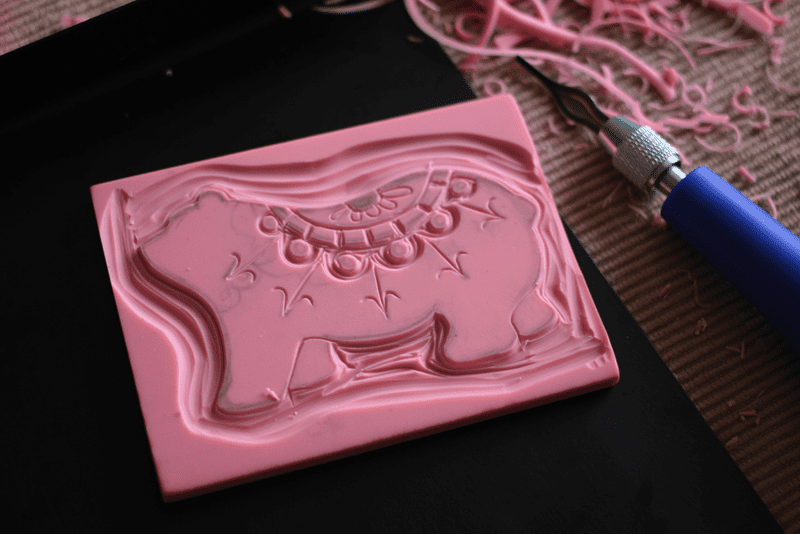 It's very gentle on the hands compared to other linoleum based blocks – it's like carving cold butter! Remember that anything you carve away will show up as white space when you print. Take your time and carve slowly, being very careful to carve away from your fingers and hands, not toward them. When you're happy with your design, the next step is to print one really smooth, black print. It usually takes me a few tries before I pick one to digitize on the computer. I like to snap a quick pic of the print with my phone and amp up the contrast there before emailing it to myself, though you can do this with a scanner as well. The end goal is to have a perfect, two-color, black and white design. 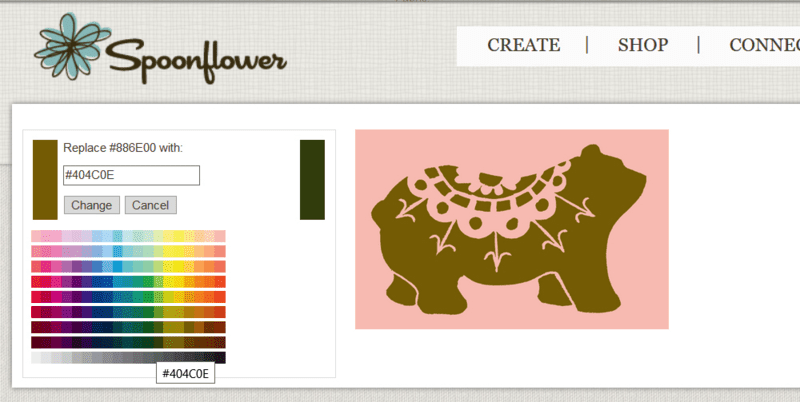 You can use PicMonkey to clean up and crop your images, and Spoonflower's color changer to flatten your artwork down to just two colors. You can use as many colors as you'd like, but I really love the look of a more traditional, two-color block print! While I do use Illustrator to edit all of my designs, I wanted to show you that it's not necessary. 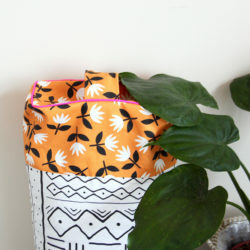 Block prints make for excellent basic repeats, so you really can create beautiful fabric using only your two hands and Spoonflower's basic tools. 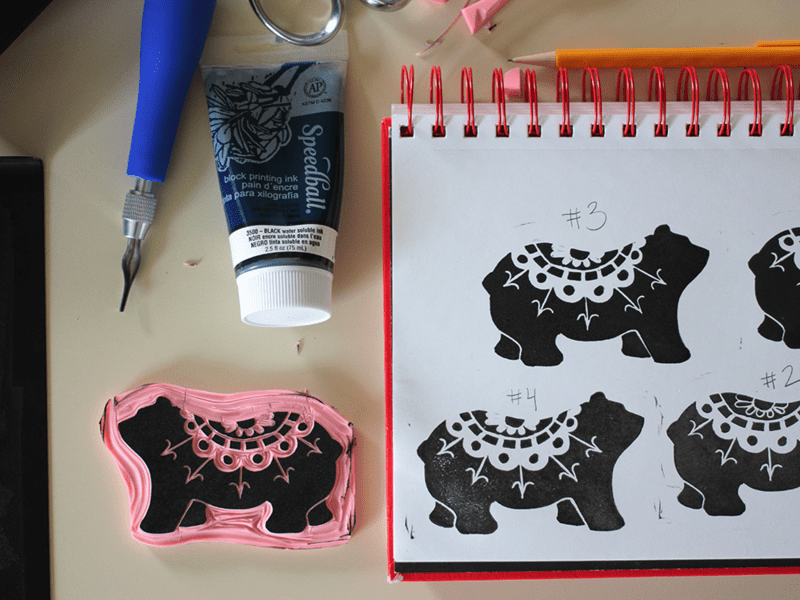 If block printing sounds like something you'd love, I highly recommend Speedball's Deluxe Block Printing Kit, which has absolutely everything you need to start on your journey of block printing and fabric design. Don't have the supplies? You can get resourceful with a potato and this tutorial. I'll be following along and browsing the #SFDesignADay hashtag so be sure to share your work. I can't wait to see what amazing things you create! 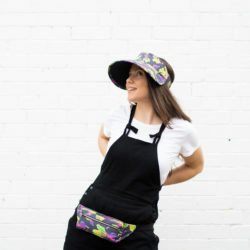 Rochelle New is a handcrafter, Fabric Wizard, Wielder of Needles, printer and sewer of textiles. 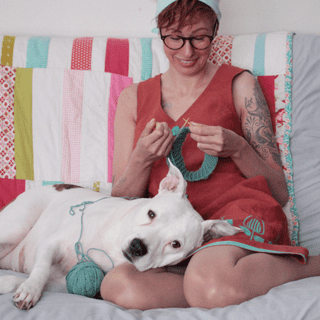 She's a slow knitter, dog mom to Lucille, cat overlord, wannabe woodland creature, and general nerd – Making magic and messes in the backwoods of New York. 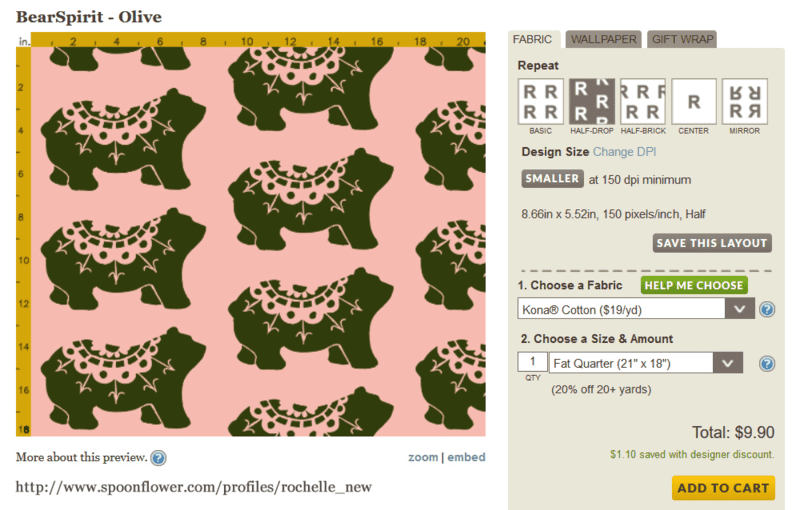 Visit her Spoonflower shop and follow along with her blog! 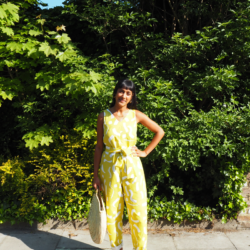 Lovely block prints. I haven’t done this since I was at school. Would love to try it again. The effect is so good. Oh, this is one of my favorite things to do! Great post!